Hi all and good day. Today we will be showing you the recipe for our Soothing Lotion for eczema. ojoba is rich with vitamin E which is important to hydrate and retain moisture in skin. Jojoba also fights against decolorisation of the skin caused by eczema. The strawberry extract and calamine powder in the lotion soothes and calms the skin. Mango butter and rosehip oil are great moisturizers which keep the skin tight and firm. These are important ingredients because with eczema, it is necessary to keep moisturized at all times. The next ingredient differentiates our product from the rest as it has many benefits. Basil sage mint oil is an essential oil, which is highly effective to combat eczema. The combined effect has an anti-inflammatory effect, helps clear scars on the skin, as well as keeps the skin refreshed at all times. 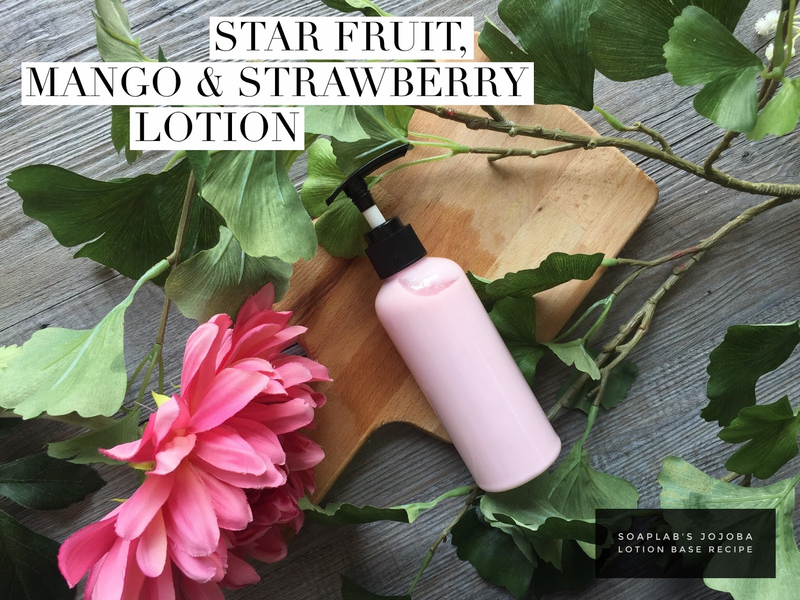 The Soothing Lotion uses star fruit and mango fragrance oils, which will give you a nice and refreshing smell, making this lotion a sure treat for you.